Today began with Jen formulating what would be our most adventurous day with the babies yet. This only involved a five minute trip to the beach but the fact that she even suggested it in the first place struck me as particularly audacious. The five minute drive meant a precision feeding at 11:00 AM followed by the short drive which was sandwiched between two thirty-minute packing and unpacking sessions. After navigating the stroller across the beach sand (a chore I do not recommend) we were at our destination. 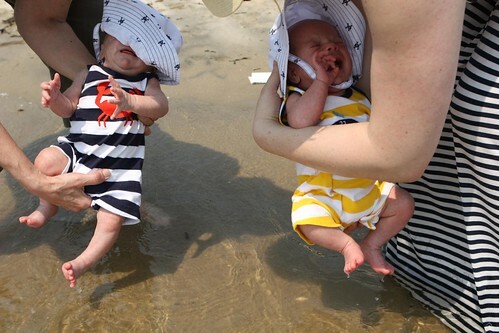 The beach was met with mixed reviews. Actually they weren't that mixed, the guys seemed to hate it. They didn't like the sun. They didn't like the sand. And they hated having their toes dipped in the water more than anything they've experienced in their short time on this Earth. After the beach we went to the park to have a picnic lunch. The Wombats enjoyed this significantly more than the beach. Elliott, in particular, enjoyed the picnic because he got to sleep through the entire thing. 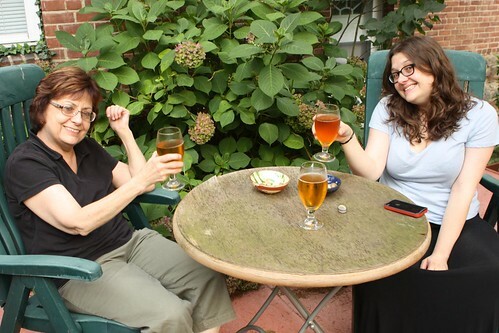 After getting home, and taking a glorious two-and-a-half hour nap, we went out to the back patio and enjoyed a drink. Jen's mum, when asked about beer, said the only time she ever enjoyed beer was when she got to have shandies living in England. 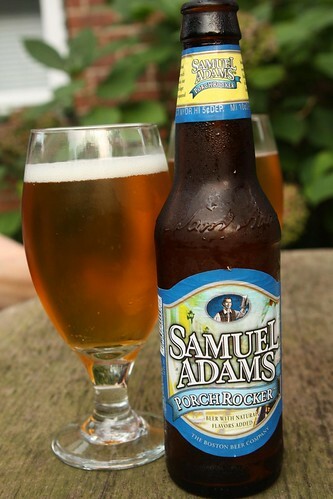 Hearing that I searched out a beer and found this Porch Rocker from Samuel Adams. This is a shandy-type beer or Radler, a German-style shandy I had not heard of before having this. Overtly this is not my favorite type of beer but after a long day at the beach, outside, and sitting in the warm humid August air this was a perfectly refreshing way to begin dinner. 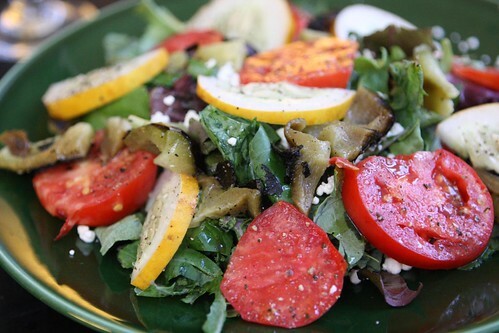 After out drinks I put out this salad of farm kale, farm cucumbers, farm tomatoes, farm grilled peppers, mixed greens, feta cheese, olive oil, lemon, salt, and pepper. 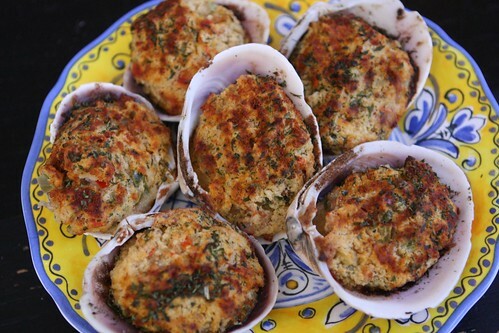 To recreate my summer youth for my mother-in-law I made up these stuffed clams (or 'stuffies' as they were called in Rhode Island) to start out the meal. For the main course I overdid the breaded seafood theme by making this baked scrod which was actually some fantastic haddock I got on sale with lemon, fresh thyme from my mother's garden, olive oil, butter, salt, and pepper. Using haddock was a bit of an extravagance that one doesn't often experience in the restaurants of Rhode Island but, technically, it is still a recognized preparation by all accounts I can find. After bathing the guys and putting them to sleep we were ready to settle down and watch last night's premier of Time Machine Chefs. I explained the premise of this show to Jen's mum as people going to a castle and using only techniques found in the 1500's to create a typical meal of that day. She said that was boring because she mistakenly thought that I meant they did this in every episode. After I explained to her that I was just giving an example of one time period they were cooking from she warmed up to the idea of watching it. However, it's on a major network so I'm sure they'll screw it all up. MUM HAD A BEER? I need to lay down. There's one other thing I'm forgetting. So far it's been pretty successful. For the record . . . BOY was I right! 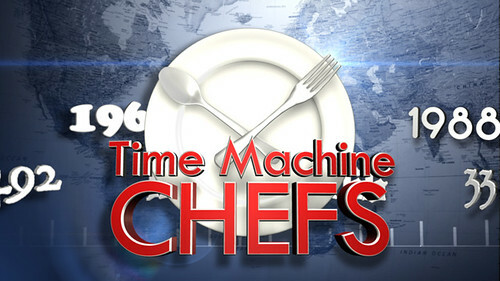 "Time Machine Chefs" was extremely poorly done. Could have been very cool though. There is a cooking show that features recipes that go back 100s of years and are cooked using the implements of the time. Think it might be on PBS. 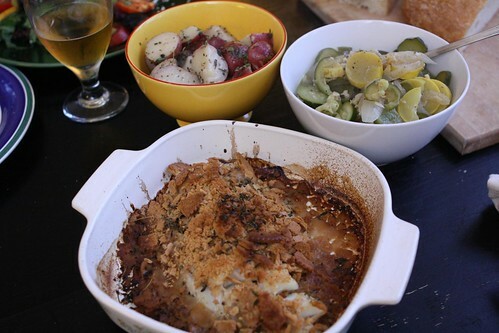 The episode I saw featured a Germanic recipe for ton gue from the 16th century. With gravy and dumplings. Man that slab o'meat was HUGE! That sounds like it could be quite good. Was it a good show? "Time Machine Chefs" totally glossed over giving any interesting information about the time period in favor of the stupid interviews with the contestants talking about how flabbergasted they were by the situation. The chefs seemed really cool though. It's not their fault the show was poorly done. Aw man! I wish I could watch that! Was that the Rye Town Park across the road from the beach? My mother lives across the street from that park. Maybe some day you will meet her there walking her dog.